Upper floor 2-bedroom apartment within a block of riverside apartments with functional lift access to all floors. Located in the Centre of Greenwich, which has an extraordinary mix of the past and present. Side view of River Thames. Few yards from the Cutty Sark. Tidy interior..
All rooms on one level and neatly decorated including oil paintings. The building is placed directly in front and just yards from River Thames. Few yards away you have quiet children play grounds on both sides one of which is supervised and provides a very good entertainment for the kids. The location is safe and quiet despite being just yards from the ever-bubbling day and nightlife of Greenwich. You will enjoy a ride or walk along the Thames path towards Canary Wharf and other parts of London. Many departmental stores including Marks and Spencer foods store (300yards away), Tesco, Iceland, Cooperative and Sainsbury. Other local attractions: Other local attractions apart from the Cutty Sark, Maritime Museum and Royal Observatory are The Greenwich antique market, The famous Royal Park and the Gypsy Moth IV (in which Sir Francis Christopher sailed around the world between 1966 and 1967). Others include The Trinity Music college, Sailing clubs, Comedy theatre, Old Royal Naval College and Eltham Palace. Walk along the Thames pathway towards central London or the Greenwich Millennium Dome. This is the largest fabric structure in the world containing one million sq ft of fabric. It's roof covers 20acres and is strong enough to support the weight of a jumbo jet! In nearby Woolwich is the Firepower (Artillery) Museum, Greenwich Heritage centre, Youth theatre. A bus ride down the road is the Thames barrier (a unique and incredible feat of engineering that stretches 1/3mile across the Thames River built in 1983 to stop the River Thames flooding). Its Thames learning centre has a range of games, learning activities and information. Local entertainment: Greenwich has an eclectic mix of cinema, shops, eateries, bars and Cafes and a relaxed atmosphere. Restaurants in the lively Greenwich centre are plentiful and open till very late. Array of local pubs, shops, Club houses and cafe. The Greenwich Peninsula has a multi-screen cinema complex and restaurants. Greenwich leisure centre with swimming pool is a few minutes walk. Charlton stadium, home to Premiership football club, Charlton Athletic FC is 3miles away. Range of Children and adult activities, including Circus shows, run at the Historic Blackheath Park most holiday periods & some weekends. Enjoy a local visit to the Trinity college of Music. Good shore fishing sites if day permit or membership. ExCel international Exhibition & conference centre is 7miles away. The Creek Comedy club is literary by your door step. A number of sailing clubs are available as you take a walk or cycle along the Thames River. David Beckham football academy is also local (close to The Millennium Dome). Local amenities including departmental stores, eateries,cinema, comedy club, music school, leisure centre including swimming available in Greenwich town centre. Bluewater, the leading and most innovative shopping and leisure destination in Europe is within 20 minutes reach by train.Admire it's enigmatic posture with over 330 stores, 40 cafes and restaurants and 13 screen cinema. Strictly no loud music or parties allowed in the accommodation please. Full height wall and floor marble tiles to bathroom and marble floor and wall to separate toilet. Combined washer dryer for clothes used during your stay at the accommodation ONLY. Combined washer dryer for clothes used during your stay at the accommodation. HIGH CHAIR AVAILABLE IF REQUESTED AT LEAST 72HRS BEFORE CHECK IN DATE (NOT USUALLY KEPT IN APARTMENT AS ONLY OCCASIONALLY REQUIRED) Satellite channels from freeview. Change over day is flexible. Check in time flexible and negotiable between 2pm - 8.30pm (late check in by prior arrangement). Time needs to be confirmed before arrival. Check out is by 11am on departure day. Weekly booking encouraged although 1-2 nights bookings may be available. You may enquire about availability. Greenwich leisure centre is a walking distance away and provides swimming pool, tennis, basketball etc. Parking restriction often applies. Limited availability of parking allowance for this tranquil location behind an all year round tourist hotspot. Airport pick up can be arranged if required. Fol was a perfect host and was always easy to contact, and kindly let us have a late check-out. Flat is brilliantly situated in Greenwich - so easy to get about and so much to do just in Greenwich itself. The flat itself was basic but clean. A few quirky things (5 remote controls underneath the tv - we didn't bother finding out which one worked, a wobbly loo, a few dishes not as clean as you'd initially like) but overall a great place to stay. We will be back! Our family of 5 including 3 boys ages 7-11 enjoyed a comfortable stay here for a week. It had everything we needed. It was clean, quiet, and very convenient for enjoying Greenwich. We loved Greenwich and enjoyed walking to restaurants and museums in the borough. The outside of the apartment building is a bit shabby, but it felt safe and quiet, and it was only a couple of blocks away from very charming neighborhoods. It was nice to have a kitchen and a washing machine for our week-long stay. Our one complaint was that we were a little put-off by the reception we received from the housekeeper, who met us at the apartment and surprised us by demanding 150 pounds in cash for a security deposit plus an 18 pound cleaning fee before she would turn over the key to us. It is quite a bit of cash to be walking around with, especially for guests arriving from out of the country. We would have been much happier to pay the security deposit by credit card ahead of time. Her demeanor was very curt and far from welcoming: it was not the kind of reception one would receive at a hotel. On the day of departure she did not let us leave until she checked to make sure every single thing in the apartment was in place and in working order before she handed us back 150 pounds in cash, which was very inconvenient as we were departing the country and had no chance to spend that much cash. We had to take a hit exchanging it at the airport. The place was clean and well-kept. Super convenient to the DLR station--walking with our rolling luggage was nothing difficult at all. The renters were super accommodating when it came to our difficult arrival and departure times. They worked things out so that we had no problems at all. It was a little farther from London than I'd like to do next time since we like to stay out at the shows and don't want to hurry back to catch the DLR. The inconvenience of paying the cleaning/security deposit in cash upon arrival was frustrating since we ended up getting all of our cash back on the day of departure, but headed straight to the airport to fly out (with a ton of British Pounds that do little good in the US). Doing that by card would have been much better for us. Our family of five (three pre-teen boys) stayed in this apartment for 10 days. It's a very utilitarian apartment, having everything we needed. It's not what we would describe as charming or romantic by any stretch, but it was surprisingly comfortable and quiet at night. It's hard to beat the location. Just a couple minutes walk to either the DLR or train (which we found out too late was the fastest option into downtown London), this was our base for exploring London, and we didn't spend a lot of time hanging out in the apartment. Locally, we enjoyed Goddard's for pies and mash, and Black Vanilla for gelato, and the Observatory and National Maritime museums and park/gardens. The few issues we had were primarily with maintenance (new housekeeper) and our feedback was welcomed to help ensure even better experiences for future renters. Nice apartment. Very clean and stuff very helpful.Everything as described so i'd definately recomend it to a frien. The only problem was that due to constructions on the DLR during the weekend it took a little longer to get to the city center. Bus replacement did run often, though. My family enjoyed a lovely 10 days in this apartment for our first visit to London. We had plenty of room, everything worked well, and it was spotless! The twin beds were perfect for our 2 teens (they were extra long), and we fit fine in the other bedroom. It was nice to have a separate living area to relax, and we could have breakfast there every morning. Note that the flat is on the second floor, but I think there was an elevator, if needed. The bathroom is the only down side: extremely small, and the water pressure is low - so the shower did not work well. Groceries and restaurants were a 5 minute walk away, and local merchants were very friendly. There are restaurants of every type - and mostly inexpensive. We enjoyed being only 2-3 blocks from the Underground station - we took the DLR to connect to the regular Underground every day - about 30 minutes to the main area, and very easy to negotiate. We also walked 2 blocks to the pier and took commuter and tour boats on the Thames - a lovely alternative on sunny days. Finally, we enjoyed the Greenwich Park and the museums nearby - don't miss the Observatory and the Maritime Museum - they were as good as any museums in London! The Park was a great way to observe London life on a sunny day. If you are willing to spend a little time traveling to town each day, or want to visit Greenwich, this apartment is a wonderful choice for a small family. The owners were very helpful and accommodating, and helped us with travel and any needs immediately. We would recommend this rental! Please note that the second floor location indicated in this review is best described as first floor for some others, especially those from europe. For clarity it is on the next floor up from the ground floor and has a functional lift if required. Located in the epicentre of Greenwich, which has an eclectic mix of cinema, shops, eateries, bars and Cafes and a relaxed atmosphere. Impeccably located apartment close to DLR Metro, Tube and overground train stations (all in London’s Central Travel zone 2). The accommodation is just yards (two minutes walk) from the Cutty Sark DLR Metro station and under ten mins walk (under 1 mile) from Greenwich Maritime train station. Deptford Bridge Metro station is also close by or a quick bus ride to North Greenwich underground Tube station.It is 12 mins on the train to London Bridge station and other Zone 1 Central London stations.Several bus stops at the end of the road (maximum two mins walk). From here you just Hop on countless buses to different directions of London. Golf: •Royal Blackheath Golf Club - Royal Blackheath Golf club is 1.5 miles away and easily reached by road or rail. The club also boasts a museum. •Thamesview Golf Centre - 5miles away. The Golf Centre in nearby Thamesmead offers a pay and play Golf course and driving range, sensational tuition and Golf shop. It has a truly wonderful setting, laid out on luscious verdant parkland with superb views over towards the Thames Valley and London city. 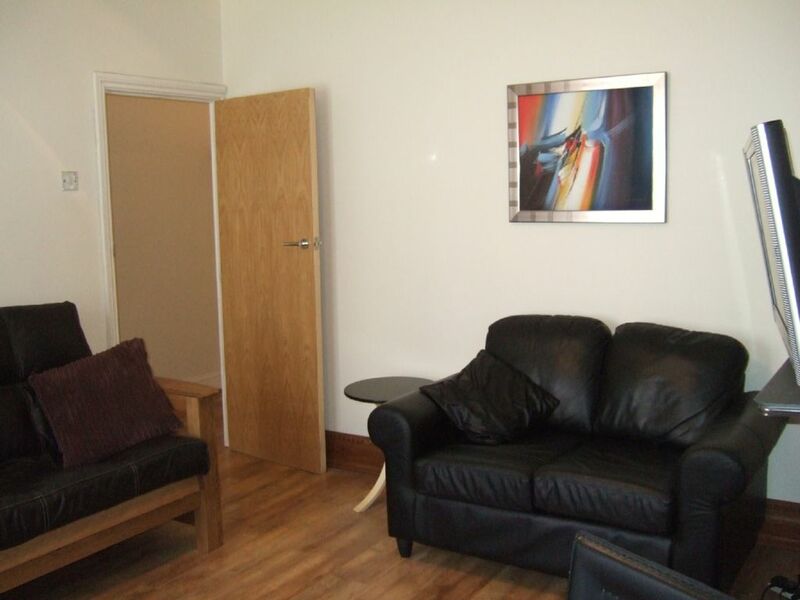 Apartment is 5 mins walk to recently concluded Olympic Equestrian events. 10 mins by train or drive to Olympic village.